Copenhagen Creators | Mobile Games & Apps » TIME Quiz – Guess The Year! TIME Quiz – Guess The Year! When was it? Do you remember when the Berlin Wall came down, or when the first iPhone was launched? Travel through time, and get challenged on your knowledge in this new exciting free-to-play quiz game! Using the unique year range selector to guess the specific year suggested in the hints. 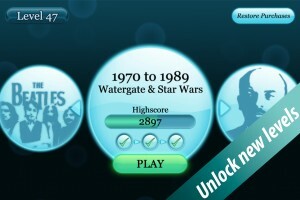 Time Quiz takes you through several hundreds of years, historical events and a wide range of unique levels and hints. Get tested on your knowledge and be entertained for hours! The game motivates you to always grab an extra round because you want to reach the next level and prove to yourself that you master the next level. 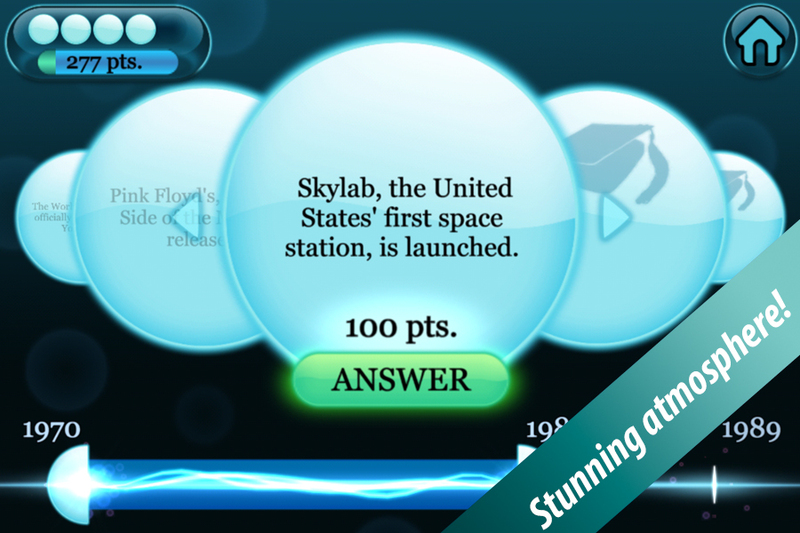 Simple but educational Trivia in pocket size! View more games and app projects we have worked with.